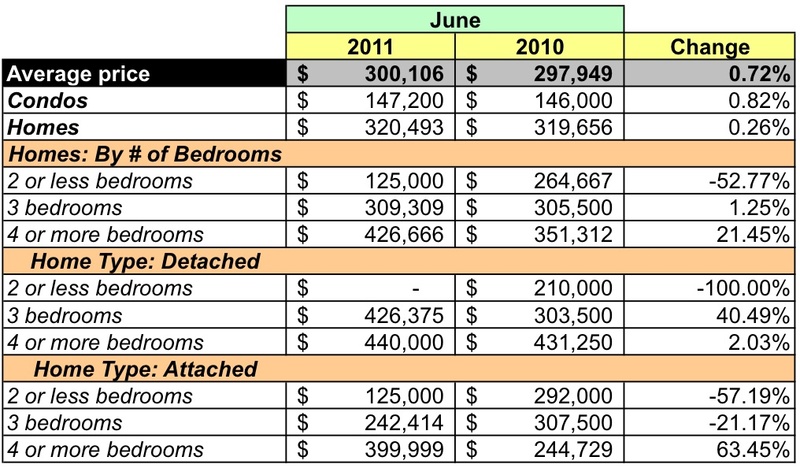 This week I look at June's closed sales for zip code 20010 using data provided by MRIS and RBI. From west to east, 20010 stretches from Rock Creek Park to North Capitol St NW; on the north, it's bordered by Piney Branch Parkway / Quincy St NW / Rock Creek Church Rd NW and on the south by Irving St NW / Michigan Ave NW. 20010 is home to the Mount Pleasant neighborhood and the Washington Hospital Center. Aggregate dollar volume was down 37.87% over the same month in 2010. Unit sales were 35.9% lower. The average price for a home fell 3.07%, but the median price was 7.14% higher. Houses accounted for about 2/3 of units sold. The number of condos sold fell by half and unit sales for houses fell 23.81%. One unit sale was a bank-mediated sale. The average price for a condo was up 31.06% to $416,367. The average price for a house was $501,062, down 20.38%. The median price for the bank-mediated sale was $720,000. There were 62 active listings during June, 42 condos and 20 houses. Few detached homes have sold in 20010 during the past twelve months, which implies that buyers' choices are limited to condos and attached houses. 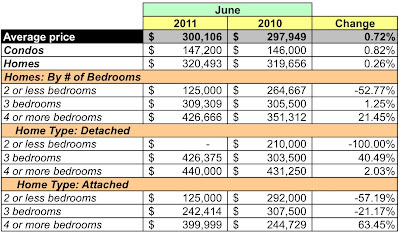 All but 7 condos were listed below $400K, the houses were listed between $150K-1MM. According to MRIS, properties in 20010 sold for 99.7% of the listing price! 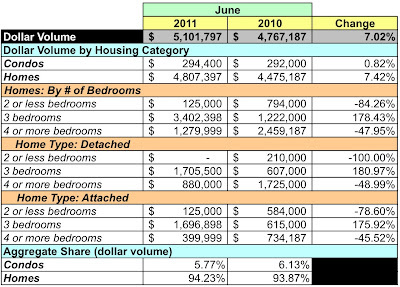 At June's sales rate, there's 4.6 months supply of condos and a 1.25 months supply of houses. Basically, make an offer if you like it the first time you see it because it'll be snatched up. 20010's dollar volume was 3.09% of the District's June dollar volume. Its average price was 17.92% lower than the District average and its median price was 3.45% higher. Its unit sales were 3.77% of all units sold. I don't think I've ever seen a zip code where the average selling price approached 100% of the list price. Given the low inventory and the pricing data provided by MRIS, it's possible that buyers will find they have little leverage at the bargaining table in today's pre-August 2 market. 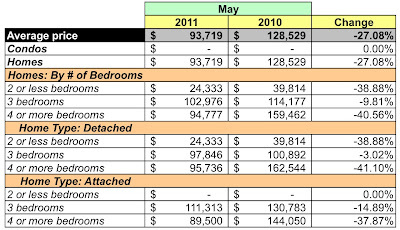 This week I look at May's closed sales for zip code 22201 using data provided by MRIS and RBI. 22201 is bordered by Arlington National Cemetery, Rosslyn, I-66, and Route 50. 22201 is home to the Clarendon and Courthouse neighborhoods. Aggregate dollar volume was down 6.83% over the same month in 2010. Unit sales fell 13.73%. The average price for a home rose 7.99% and the median price was down 6.19%. Condos dominated sales, accounting for 32 of the 44 units sold. 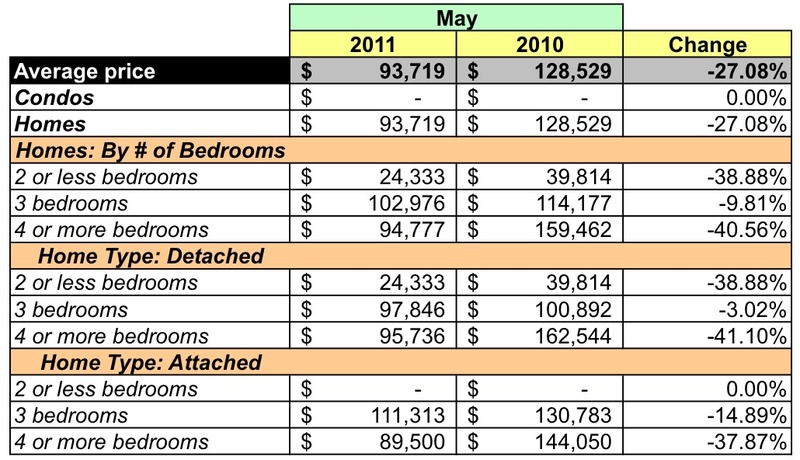 The number of condos sold declined 11.11% while unit sales for houses fell 20%. Two of the 44 units sold were bank-mediated sales. 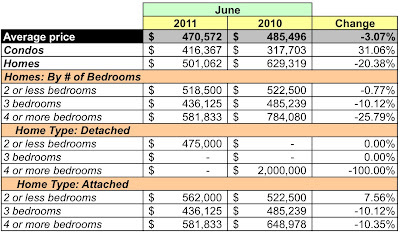 The average price for a condo was $438,289 and the average price for a house was $950,550. The median price for the bank-mediated sales was $276,000. There were 83 active listings during May, 46 condos and 37 houses. 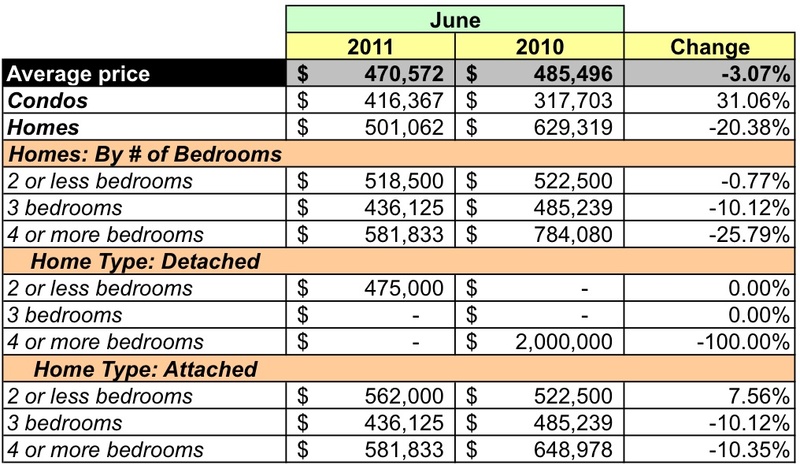 About half of the condos were listed between $300-600K, the houses were listed between $500K-2.5MM. According to MRIS, properties in 22201 sold for 97.5% of the listing price. During May 17 homes went under contract and 35 had contingent sale contracts. 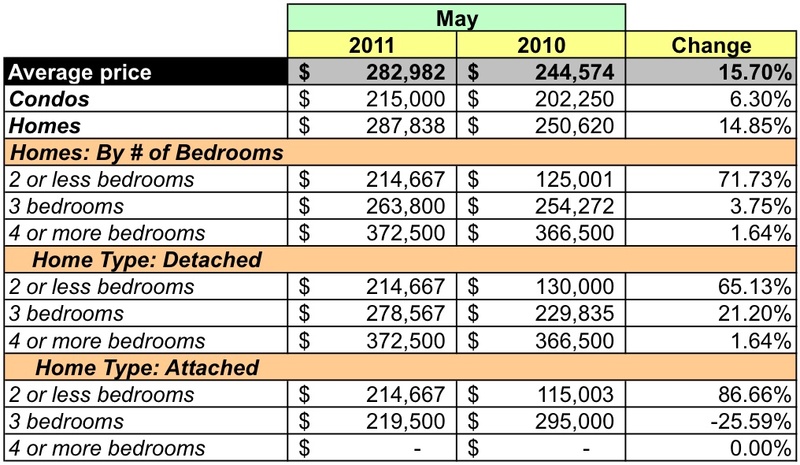 At May's sales rate, there's a 1.43 months supply of condos and a 3 months supply of houses. That's a tight market! Condo sales have dominated the market in 22201 for the past 12 months. Buyers who want to buy a house in 22201 will have fewer options given its lower inventory of detached houses and their $1M+ price. Buyers who want the condo lifestyle will find that while condos are more prevalent in 22201, as long as inventory remains at current levels they'll have to move quickly should they find a condo they like.